Marie Callender's Whole Pie Sale* is BACK! You know, pies are what I buy instead of birthday cakes and I always get them here. The pies at MC are soooo delicious. You can even buy a handy dandy pie slicer there. 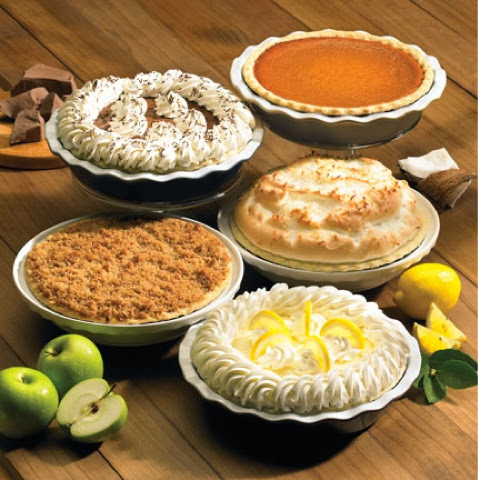 Now through Halloween, October 31, MC is offering more than 30 varieties of their sweet, yummy pies for only $7.99. Apple: Sliced apples, sweetened and spiced with cinnamon. Banana Cream: Fresh ripe bananas, rich vanilla cream, fresh whipped cream or a fluffy meringue. Berry: A variety of only the finest plump, ripe berries, baked in this double crust pie. Cherry: With juicy, tart, red cherries. Coconut Cream: Coconut folded into our rich vanilla cream. French Apple: Our traditional apple pie with a crumbly cinnamon streusel topping. Lemon Meringue: Slightly tart, slightly sweet, topped with a light golden meringue. Peach: With thick sliced peaches. Pumpkin: Our famous pumpkin pie has just the right amount of spice. *Pie Sale excludes cheesecakes, seasonal fresh fruit pies, and promotional pies. Please visit www.mariecallenders.com for a complete listing of pies. 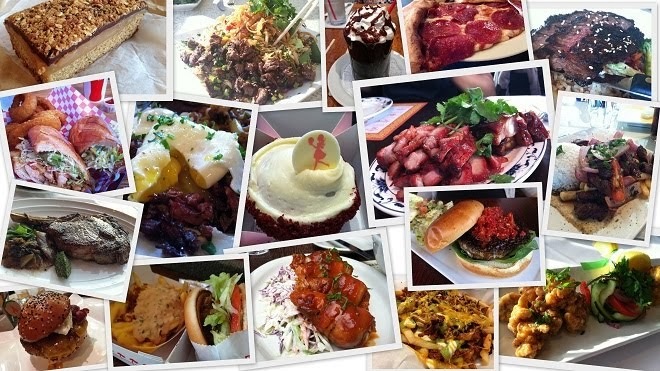 Image provided by Marie Callenders.